Having worked in Coventry for a solicitor’s firm as a legal secretary then a large corporate estate agent at the age of 19. Since the birth of my son in 1999 I chose a career path in human resources for a large company in Coventry employing 250 staff. Started at Complete in 2007 as a mortgage advisor after qualifying for my CeMap exams. 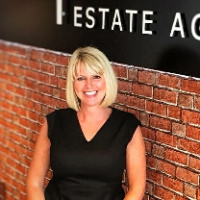 Due to the downturn in the mortgage market my role has been to help with the finances and HR with Complete Estate and also heading up the Complete Sales and Lettings franchise in Rugby. My hobbies are dancing, socialising, travel and looking after my two boys Kai & Oliver.